Global India Enterprises in Mumbai has delivered a large number of projects in the past that have received rave reviews and appreciation from numerous prestigious builders and other organizations associated with the real estate business. The team comprises of real estate professionals having vast experience and knowledge about properties. Each of the project of this company exhibits avant-garde interior designs – absolutely lavish, ostentatious and one-of-its-kinds. It has pioneered newer technologies and modern engineering that has helped it to create landmark residential townships as well as commercial establishments. Quality, on-time delivery and trust stand at the core of the business of this real estate organization. By giving wings to the dreams of millions of people, it is truly making a mark in the field. The office remains fully-operational between 10:00 - 20:00. To book appointments with one of the executives of the company, people can use the phone numbers mentioned above. 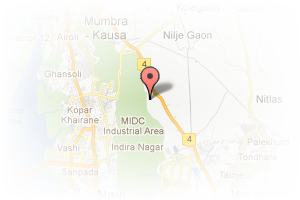 Address: Vindhane, Vindhane, Navi Mumbai, Maharashtra, India. This Builder Profile page for "Global India Enterprises" has been created by PropertyWala.com. 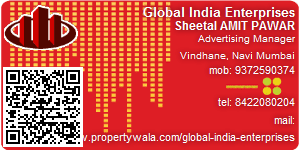 "Global India Enterprises" is not endorsed by or affiliated with PropertyWala.com. For questions regarding Builder Profiles on PropertyWala.com please contact us.